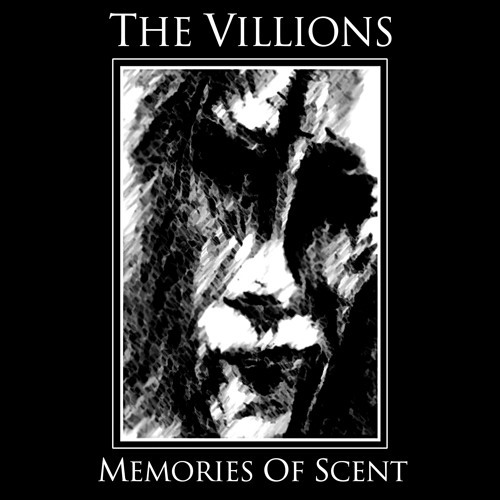 "The Villions" is a dark wave / post punk band formed in 2012 in Athens, Greece. Its main core was - and still is - Dimitris Kolias (guitars) and Alex Kousoulakos (vocals-bass). Their influences can be traced easily in the 80's sounds of the post punk and dark wave bands of the era, while their dark lyrics are based on poems and novels by Dimitris Kolias. Their name is also inspired by a novel of Dimitris Kolias - "The Villions" are human beings as would be in the future, who've reached the upper levels of mental state of consciousness. The final form of human evolution. They live in harmony without physical form, using only their minds." They started rehearsing back in 2012 with the addition of Harris Kal (drums), Orlok Davis (bass) and Marianna (keyboards). During the next year (2013) they appeared in public in various live stages, performing the songs that, eventually at the end of that year, would consist their first ever album. It was recorded at "Freefall Studios" and included 12 tracks that defined their sound during that time. The song "Doubts", which was included in Geheimnis Records' compilation "No Radar", was taken from that specific album session. Due to arguments and personal disagreements, that first line-up split up and the album was never released. In September 2013, with the addition of new members (Renée J. Kay on keyboards and Vasilis "The Union Man" - bass) the band started to perform again, although, their second active period would end by mid 2014 after the departure of the drummer and the bass player. They started auditioning in order to replace the missing members, but after a while the search halted, since the remaining members were too much occupied with their personal jobs. They haven't quitted their efforts though, they are still rehearsing and producing new material. March 2018 : After 5 years of waiting, Geheimnis Records will release this lost album, in 210 hand-numbered, black vinyl copies, including all 12 original songs + the instrumental track "Fear To The Sea", which was recorded during the same era. Comes with an insert with all details, lyrics and a download code for free digital download.